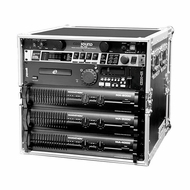 The Marathon MA-10UAD21 10U Deluxe Amplifier Rack Case (Black) is a vinyl covered, laminated 3/8" plywood case of 21" depth made to transport professional amplifier equipment up to 10U. 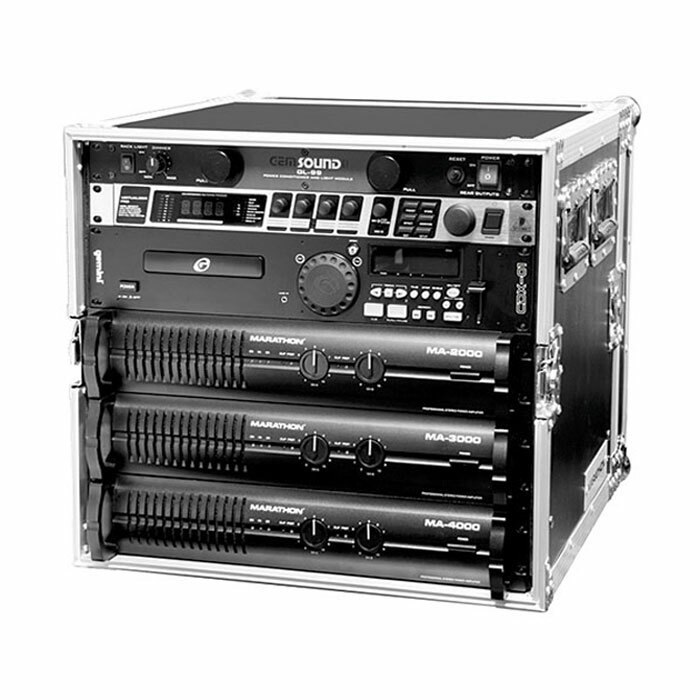 It has two detachable solid covers for convenient entry and gear placement with dual rack rails. The case meets ATA (Air Transport Association) 300 specifications for transit cases. It features heavy and powerful ball corners, dual anchor rivets, recessed, chrome butterfly latches, recessed spring loaded chrome grip handles and rubber feet. Mounting hardware is included.